The Gasparilla Music Foundation is a Florida 501(c)-3 non-profit corporation that organizes an annual music festival in downtown Tampa the second weekend of March and supports music education throughout its Recycled Tunes program. 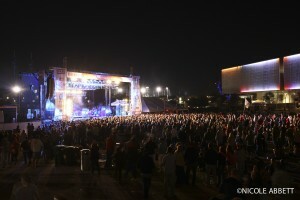 The 2019 festival takes place in Curtis Hixon Waterfront Park and Kiley Gardens Park on March 9th & 10th, featuring musical acts from a wide variety of genres on several stages and cuisine from the region’s top restaurants. As part of its mission to support and promote music and education, the organization is involved throughout the year in several initiatives including providing scholarships and instruments to music students. The Gasparilla Music Foundation was founded in 2011 with financial support from several Tampa Bay area based businesses and the organization’s founding members, The Ring of Fire.